Summer days are long and hot, but that doesn’t mean they have to be boring. 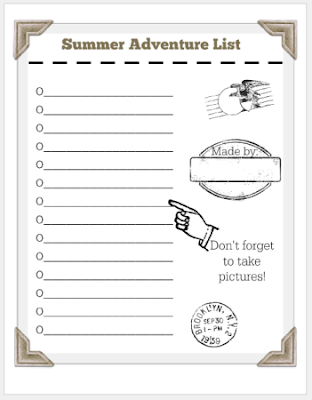 This year, create a Summer Adventure list! This is a list of things you and your family want to do before school starts up again in the fall. It could be anything from going on a mountain expedition to sleeping in until noon one day. This is a fun way to make some memories as a family and delete the old routine by having big (or small) adventures every day. Two years ago we made a very long list of things to do over the summer months. We ended up getting about half of them completed before the chill of fall hit us. We have a ton of memories from that summer and we are all excited to continue and create new memories this year. My son’s favorite summer memory from last year was going to his grandparent’s pool and swimming for hours. My daughter’s favorite memory from last summer was the water and everything! I love putting clothes on the line to dry. The smell of wind-blown sheets at night is so relaxing! My husband liked when I made peach pie. To change things up, I am going to have the kids each create their own list. The lists will be smaller, but more individualized to their likes. Look around your neighborhood. What places have you been meaning to visit but haven’t made the time for yet? Ask your family and friends for some suggestions. Stay local. There are many websites that will help you find family and kid friendly activities near your town. Google is your friend. Look for state fairs, street fairs, and festivals! Different fruits are ripe during the summer. Look for a local farm where you can pick your own. Go to the library, and not just for some reading material. Many events will put up flyers at the library. The key is to just be yourselves! If you like to hike, maybe check out geocaching at a local park. If you are an indoors type, make a list of books you want to read. If you like animals, look into volunteering at the local animal shelter. There are so many things to do, you do NOT have to be bored this summer. 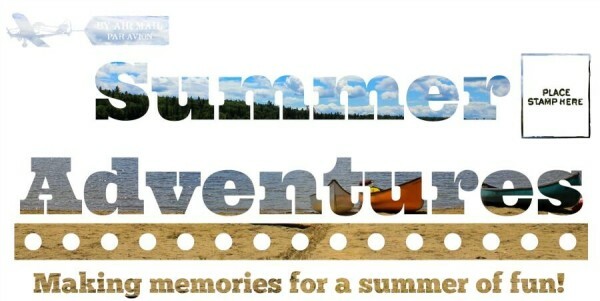 The summer should be an adventure that is built of fun and memories with each other. You can use our lists too! Just download this printable and make a list with us. Click on picture for FREE download! What are some things you will put on your summer adventure list?